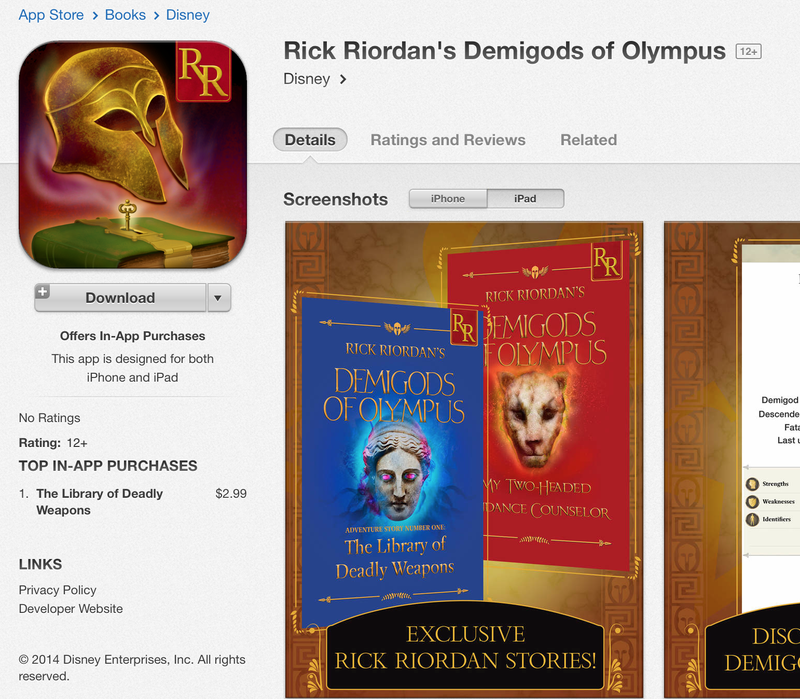 SO excited about the new app from Disney Publishing: Demigods of Olympus! It’s free to download for iOS and Android. Basically this is a digital library for your Riordan titles. You can purchase e-books to add to your collection or other cool titles from Disney, but you can also access new, original content where you are the hero. In the first free story, My Two-Headed Guidance Counselor, written by yours truly, you become the demigod, and the choices you make will affect your destiny. Who is your godly parent? What is your fatal flaw? We don’t know until you make your choices! If you choose to follow the adventure, you can buy more installments of the story and pay as you go, gradually revealing your godly parentage and your destiny. 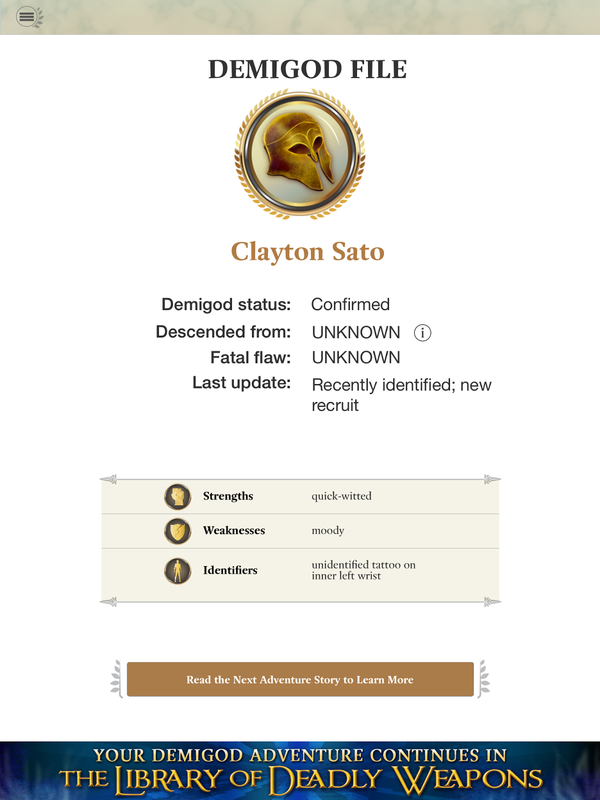 Your demigod profile will depend on which choices you make in each story. The second one is up now for $2.99, The Library of Deadly Weapons. Stay tuned for more installments, and we’re hoping to add more demigod content as the app takes off. You can find the Apple version for iOS here. Here’s my demigod profile after playing (er, reading) the first story. My name is Clayton Sato, but there’s still a lot I don’t know about myself . . .